Each year we rescue goats from a variety of situations, from the unwanted, on death’s door, to those used in dairy. We are dedicated to providing each goat with the correct care, treatment and rehabilitation before we find them loving forever homes. We encourage you to read to read though our adoption policy to see what we look for when rehoming a goat. 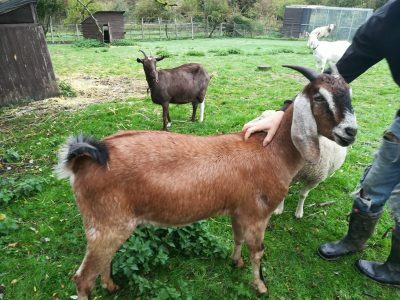 Also linked is the Animal Welfare Act 2006 and the rules and regulations on pet goat ownership which state your legal duty when looking after a goat. 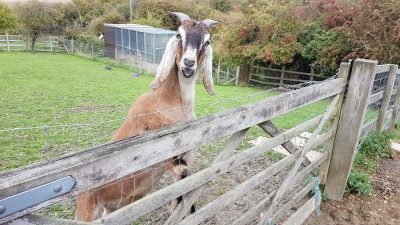 Please note that the charity is run on vegan values therefore we NEVER rehome a goat to be used as food or for milk and breeding. Bertie is only a year old, he’s a Nubian castrated young man and looking for a life-long home where he can live with other goats. We have three goats looking for life-long homes. Goats are incredibly good climbers and escapologist, for their safety we recommend at least 5ft high fencing. 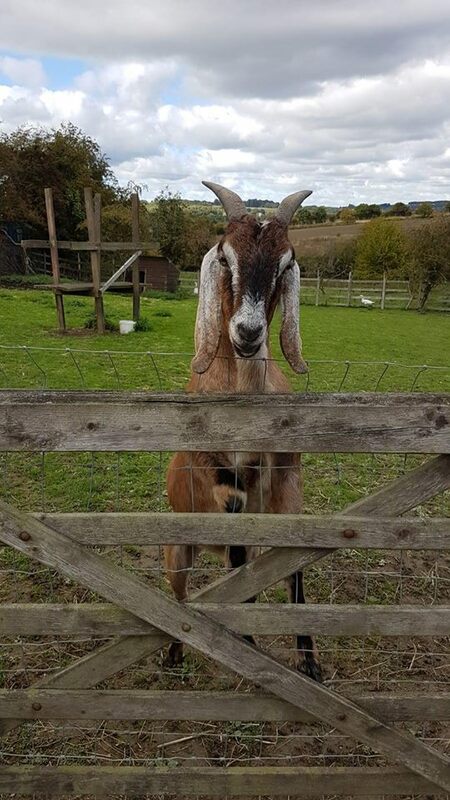 The addition of chain link or stiff wire added to a wooden frame is a good way to reinforce a fence as fencing also needs to be strong as goats have a habit of rubbing themselves on it. Adding wire also helps prevents goats from climbing through, remember if a goat can poke his head through a gap there is a good chance he can get his whole body through too. They are very skillful at crawling under, climbing through and jumping over obstacles. Fencing posts can further be reinforced by burying them at least two feet deep and space the posts eight to ten feet apart. When and if using T-posts, bury them past the V at the bottom, this helps to cushion them into the ground further. Make sure that corner posts are kept on the outside of the fencing as goats will climb up the fencing support. If your goat is adamant on escaping then electric fencing could be a last result. Just remember to keep the bottom wire close to the ground as he is more likely to try and crawl under it. Goats are also very clever when it comes to gates as all. Often trying to barge their way through or open locks. Locks like hook and eye, lever and bolts are not goat proof on the inside. If you do use these locks then please put them on the outside so the goat cannot reach. If you do need to use an inside lock then a padlock is the best option. It is also wise to put a lock on the bottom of the gate too, to prevent them from crawling under.